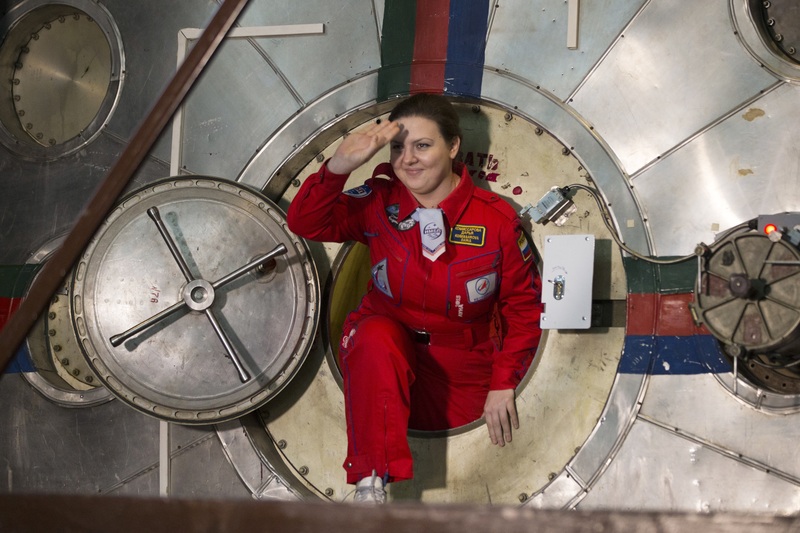 MOSCOW -- After emerging from an eight-day space simulation on Friday, the all-female Russian crew said they had missed their loved ones in the experiment more than they missed the comforts of regular life. While Russia's space medicine center in Moscow has conducted similar experiments in the past, including one several years ago in which six males were locked up for 500 days to model a flight to Mars, this is the first time the crew was all female. At least one of the women from the crew hopes to become a cosmonaut in the future. "Of course I want to go into space," said Inna Novinova. "This was an invaluable experience both in methods and isolation," that come with space flight, she said. Speculation swirled in the Russian media about whether they would be able to survive without males or cosmetics for a week. The women assured reporters it was possible. Asked whether she missed the comforts of regular life, such as showering and sweets, while in confinement, crewmember Anna Kussmaul told reporters she was more concerned about her family. "Not knowing what was going on in their lives for eight days bothered me a lot more than not having shampoo, or chocolate," Kussmaul said. The women were not allowed to take their cellphones with them and communicated exclusively with the medicine center's command crew which monitored all of their activities and conversations. "To those who said we'd end up ripping each other's hair out: we didn't even come close to that," Daria Komissarova told the dozens of journalists that greeted the women as they exited the space capsule installed at the Institute of Biomedical Problems, part of the Russian Academy of Sciences.